UCM Upholstery Cleaning Houston TX provides professional upholstery cleaning in the Houston, TX metro area, and surrounding cities. Our experienced technicians will come to your location and provide you with top quality service for your furniture and upholstery. We clean every seating arrangement you have - fabric or leather, in your kitchen, living room, bedroom or man cave. We clean every item of furniture in your home in the best method, specifically chosen for that item. Every fabric or material requires special attention and specific cleaning methods, to keep it in best shape for years. Our technicians are professionally trained and skilled to tailor the cleaning process to your beloved sofa, couch, chair or ottoman. Most furniture items get used daily. That means that spills, stains, hair and dirt get on it on a daily basis. In most cases, it's okay to have your furniture vacuumed and the occasional spill taken care of instantly. However, in the long run to maintain the furniture in good condition it need to be cleaned deeper than a vacuum can reach. The surface may look clean, but it can also hide lots of dirt. Leather is even more demanding, and requires constant cleaning and wiping to keep its condition and looks in the long term. How do we clean the furniture? We use the number one technique in the industry, hot water extraction. Using a special machine, we use high water pressure at a high temperature to get your upholstery cleaned right. After we inspect the upholstery, we would know if your favorite furniture requires any additional treatment such as pre vacuum, spot treatment, grooming or any other additional treatment to bring it back to life. 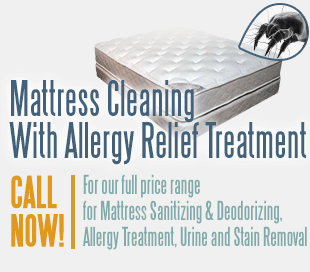 Where Do You Need Your Upholstery & Carpets Cleaned? And more locations in the Houston, TX metropolitan area. Check out the full list of UCM Upholstery Cleaning service areas. Not in the list? Call us, and we'll do our best to assist you in your location if you are in the Houston TX metro area or surrounding cities..